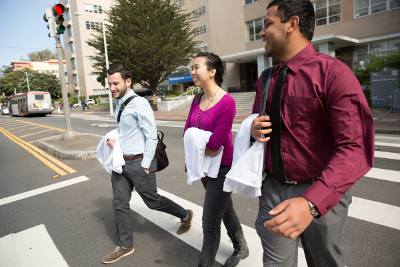 Learn how simulation advances medical education at UCSF. Take a virtual tour of our center. For a nominal fee, we offer American Heart Association Emergency Cardiac Care courses. "I love working with my classmates and collaborating to solve a case." Schedule a session at the Kanbar Center. 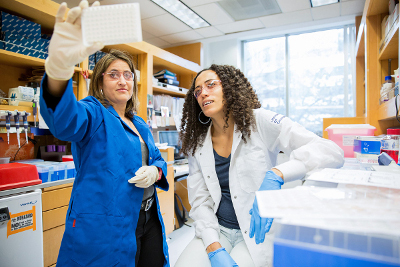 The Kanbar Center for Simulation and Clinical Skills supports UCSF's educational mission by creating opportunities for teaching, learning, and assessment using simulation as an educational strategy. Simulation is defined as an educational modality with which the learner physically interacts to mimic an aspect of clinical care for the purpose of teaching or assessment. Activities at the center range from those that use actors (standardized patients), to activities with partial task trainers and/or mannequins. 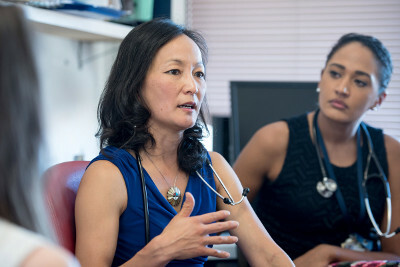 The center serves all five health professional schools at UCSF and provides learning opportunities across the continuum of health professions education. 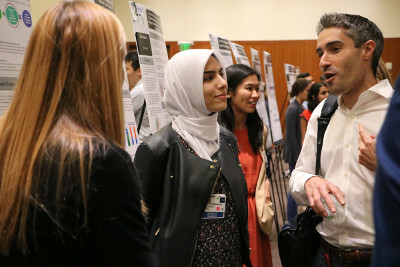 The Kanbar Center aims to advance and innovate health professions education by fostering excellence in simulation education, supporting the development of new curricular programs, formative and summative assessment, and promoting educational research.